How do we visualize the elegance and explosiveness of sound while demonstrating an exceptional line of audio products? 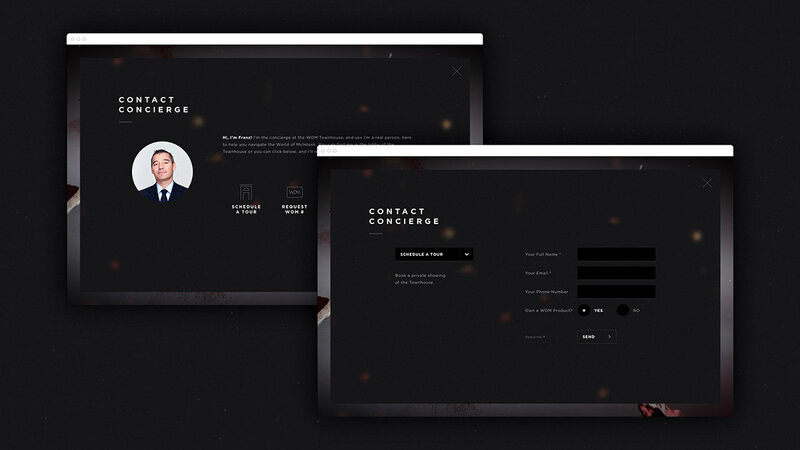 We created a bold and iconic brand experience that is both explorative and informative. World of McIntosh (WOM) is a family of the finest audio brands collaborating to bring you an unprecedented sensory experience. With a history of exquisite craftsmanship and dedication to the art of sound, WOM embraces the heritage of its brands to reach a new peak in luxury sound systems. 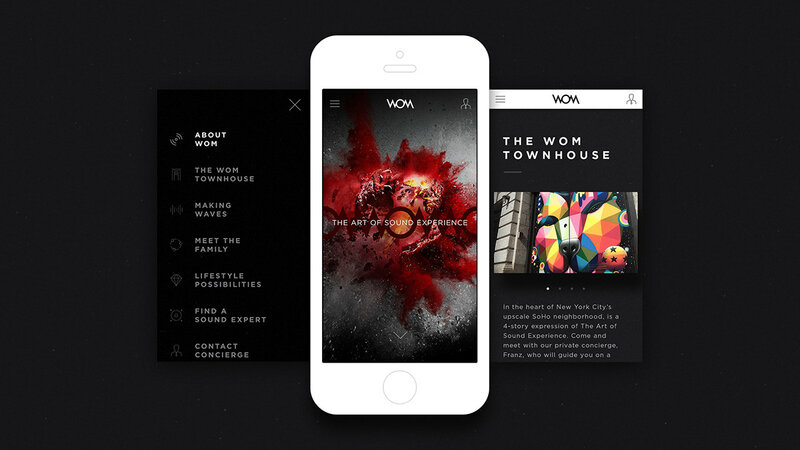 To highlight the power and quality of each brand in the WOM family, we created a website in which visitors navigate through a universe of visuals and animations that abstractly illustrate sound waves. 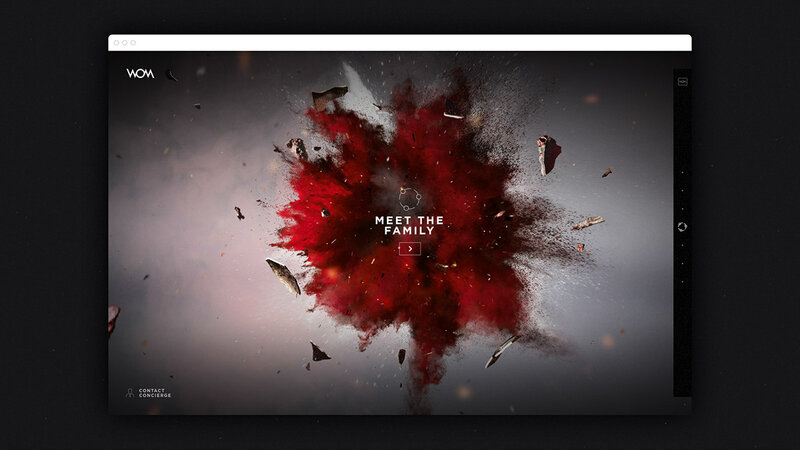 Upon entering the site, visitors move through space to fly into or past a series of explosions. 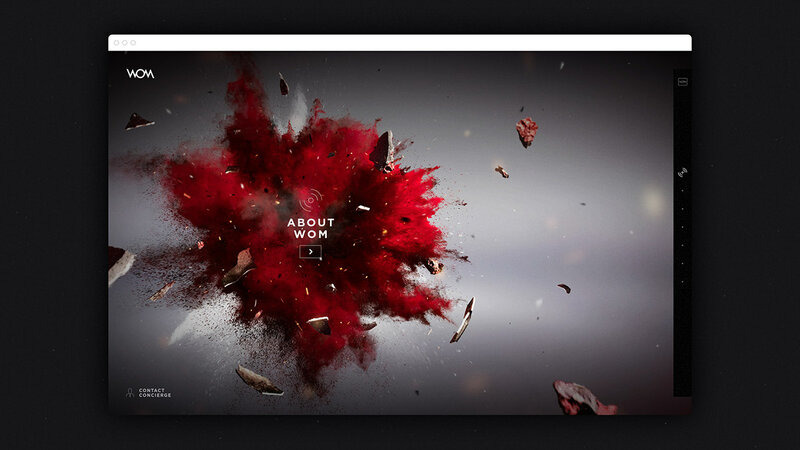 Each unique explosion acts as an entry point into the World of McIntosh. When an object is struck with sounds that are potent and powerful, there’s no denying the impact. The stronger the sound, the bigger the impact —explosive, dynamic. 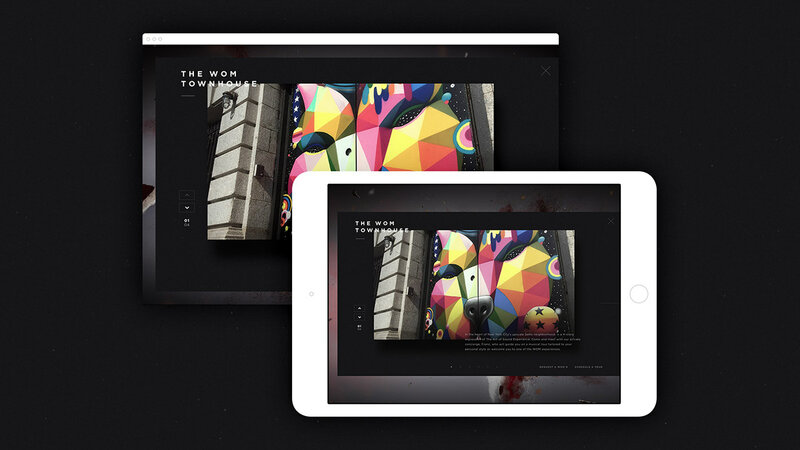 Great attention was paid to crafting a responsive experience with optimized content for a multitude of devices. 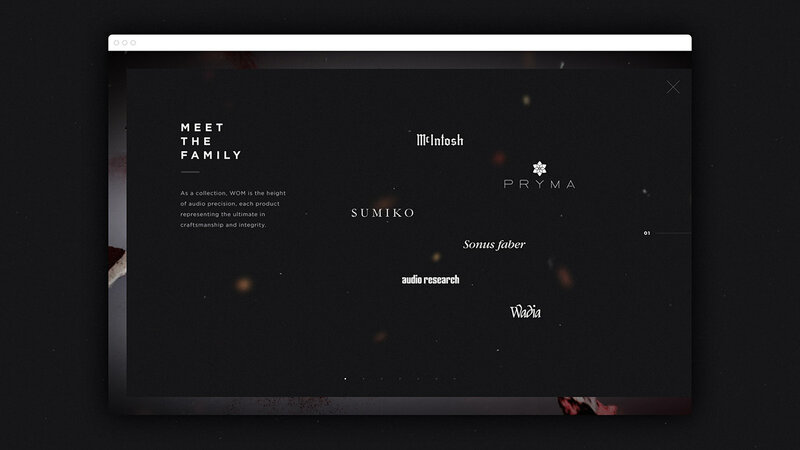 In addition we built a custom CMS to ensure that content can be managed regularly with ease. 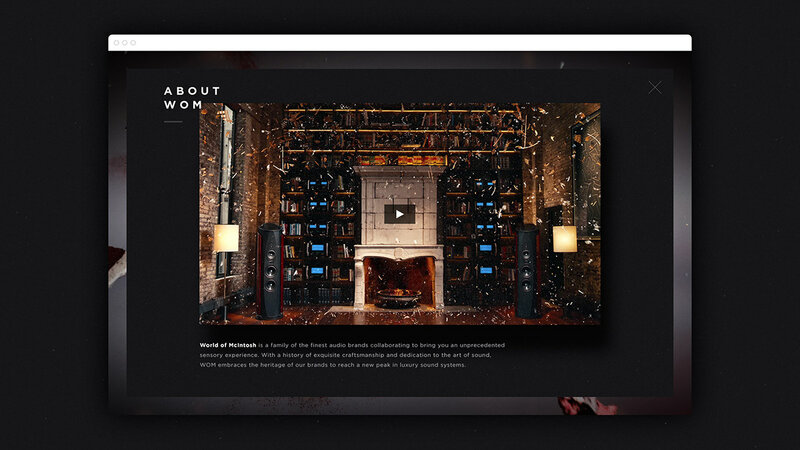 Enter the bold and iconic brand experience of World of McIntosh. Move through space to fly into, or past, a series of explosions. 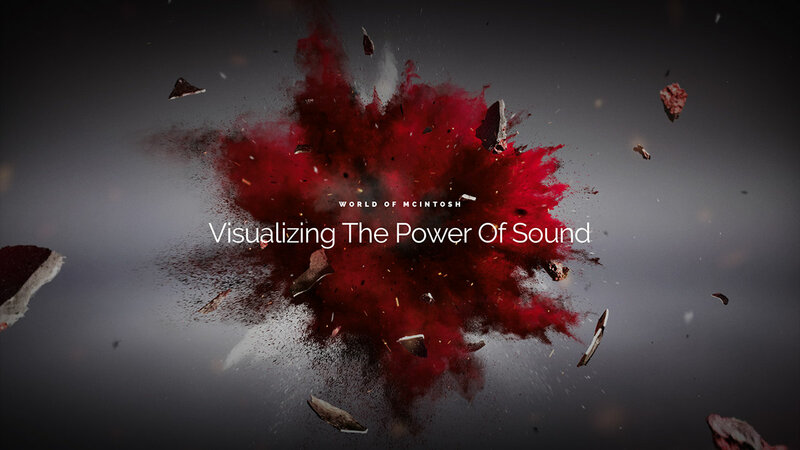 Each unique explosion acts as an entry point into the World of McIntosh.